Let's face it - much of India is not a "pretty" country. India is loaded to the gills with natural beauty, but as soon as humans interfere, it all goes to pot. Run-down buildings, shacks, trash everywhere, and livestock eating said trash, are the norm. In India, if it's man-made, it's probably on the crappy side. 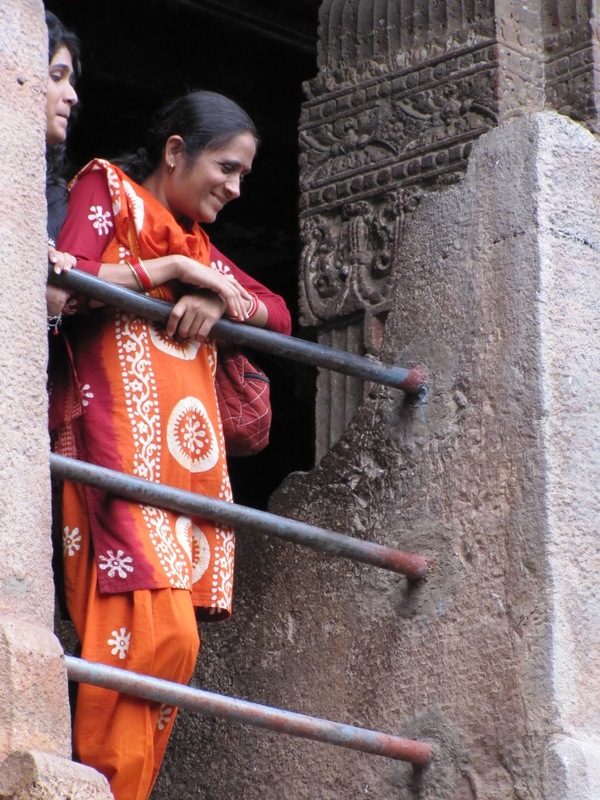 There was one thing that stood out, though (besides the Taj Mahal): women's clothing. First of all, most women in India still wear traditional clothing. It was beautifully refreshing to be in a country whose traditional garments have not gone the way of the lederhosen. Nearly every Indian woman I saw wore a sari (or saree, as it's spelled in over there) or a shalwar kameez. Have you ever seen lederhosen outside of a festival or a cheesy German restaurant? That's what I thought. Second of all, the clothes are gorgeous. The bold, bright colors and the intricate embroidery and designs made quite the contrast against the drab, run-down cities and towns. I saw plenty of women working in fields and gardens, walking down muddy streets, and sitting on piles of trash. They all looked stunning.